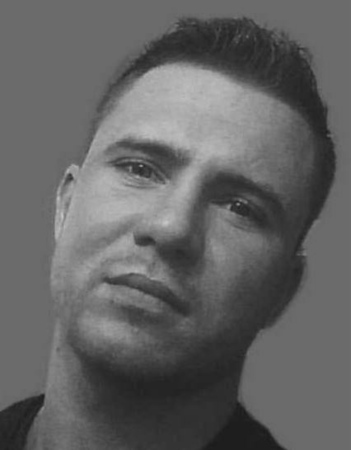 Adrian Kozikowski, 27, of New Britain, died unexpectedly on Saturday, March 30, 2019. Born in Poland to Marek Kozikowski and Bozena (Mocarska) Kozikowska, the family immigrated to the U.S. when he was nine years old. Adrian graduated from UConn with a Bachelor of Science degree in nursing and was awarded a medal recognizing top honors in his class. In his leisure time, Adrian could be found at the gym, weightlifting and keeping in shape. He also enjoyed cycling, fishing, soccer, sports cars and motorcycles. A caring and outgoing, fun-loving person, he will be missed by all who knew and loved him. In addition to his parents, he is survived by his sister, Ewelina Kozikowska and her partner, Dr. Donald Higgins; his brother, Przemyslaw Kozikowski; his adored niece, Veronica; his maternal grandmother, Danuta Mocarska; his maternal uncle, Janusz Mocarski and wife, Wieslawa and their children: Adam, Magda and Monika; his aunt, Renata Mocarska and her daughter, Viktoria; his paternal uncle, Andrzej Kozikowski and wife, Grazyna and their children: Daria and Milena and her daughter, Kimora. Relatives and friends are invited to call on Tuesday, April 2, from 5-8 p.m. at the Duksa Family Funeral Homes at Burritt Hill, 332 Burritt St., New Britain. A brief visitation at Burritt Hill will begin at 8:45 a.m. on Wednesday, April 3 followed by a Mass of Christian Burial at 9:30 a.m. at Sacred Heart Church, New Britain. He will be laid to rest privately in Sacred Heart Cemetery. To share a message of sympathy with his family, visit www.duksa.net . Posted in New Britain Herald, on Sunday, 31 March 2019 20:43. Updated: Sunday, 31 March 2019 20:45.